It had been quite awhile since I last heard from Norwegian pop princess Annie. That is until today when I saw her name pop up in our inbox. Seems she has collaborated with another Norwegian Ralph Myerz on his upcoming third album 'Supersonic Pulse' which also features collaborators such as Snoop Dogg & George Clinton. 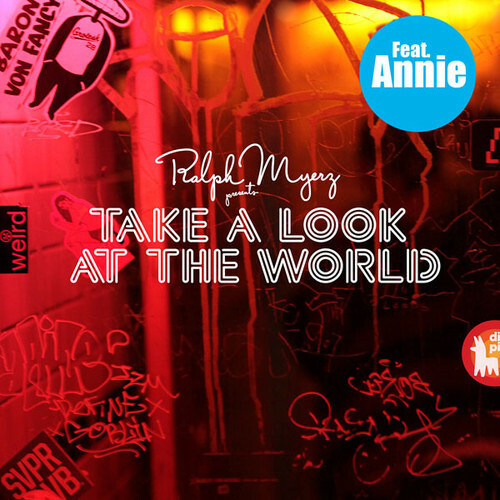 The first single being released from the album is the Annie collaboration "Take a Look at the World" which also features the amazing Royksopp producing the single. It's a classic sounding Annie dance track with an equally amazing video where you can actually see Annie. Don't know if I ever saw what she looked like before, but that voice is as amazing as ever! Check out the track/video below, plus a great housey remix of the track by another Norway product Doc L Junior. Be on the lookout for the rest of that Ralph Myerz album 'Supersonic Pulse', which should be seeing the light of day in August or September.